Box Text: GET READY FOR THE EXTREME SPORT OF WAKE BOARDING! 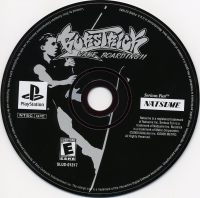 Burstrick brings the popular extreme sport of wake boarding to the PlayStation game console for the first time. Navigate through six hairy obstacle courses, picking up points while pulling gravity defying wake to wake tricks. Run through the Trick mode tournament to prove you are the trick master! - Pull over 45 extreme wake to wake tricks. - Choose from two gnarly modes: Obstacle mode and Trick Mode. - A wide range of characters and boards to choose from. 04-26-2016 Flashback2012 Box Text GET READY FOR THE EXTREME SPORT OF WAKE BOARDING! Burstrick brings the popular extreme sport of wake boarding to the PlayStation game console for the first time. Navigate through six hairy obstacle courses, picking up points while pulling gravity defying wake to wake tricks. Run through the Trick mode tournament to prove you are the trick master! - Pull over 45 extreme wake to wake tricks. - Choose from two gnarly modes: Obstacle mode and Trick Mode. - A wide range of characters and boards to choose from. 11-08-2012 invis Box Text GET READY FOR THE EXTREME SPORT OF WAKE BOARDING! 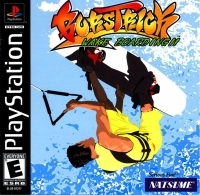 Burstrick brings the popular extreme sport of wake boarding to the PlayStation game console for the first time. Navigate through six hairy obstacle courses, picking up points while pulling gravity defying wake to wake tricks. Run through the Trick mode tournament to prove you are the trick master! - Pull over 45 extreme wake to wake tricks. - Choose from two gnarly modes: Obstacle mode and Trick Mode. - A wide range of characters and boards to choose from. 05-22-2012 mungular Name BursTrick Wake Boarding!! This is a list of VGCollect users who have BursTrick Wake Boarding!! in their Collection. This is a list of VGCollect users who have BursTrick Wake Boarding!! in their Sell List. This is a list of VGCollect users who have BursTrick Wake Boarding!! in their Wish List.